The Overland Roundtable is a panel discussion that focuses on topics relating to those of us who explore the world. If the journey is more important than the destination and your travel revolves around the vehicle you drive, then this is the show for you! The discussion each session will be focused on a single topic and you'll hear thoughts and experiences from panel members with years of experience. On this session we bring the boys back together and chat about our experiences camping in the cold. The term "cold" registers in different places for each of us and not just because some are using celsius! We have a fairly lengthy string of tips and some of them provided by our listeners. The list is certainly not all inclusive and we may have gotten some things wrong. Please send in your pro tips and corrections to overlandroundtable@gmail.com. On session 9 of the Overland Roundtable, we discuss a topic that we have all dealt with but maybe not given much though; when to change plans. There frequently comes a time during an adventure that we have to make a decision. We can either act sensibly or push on and conquer whatever lies in front of us. Pushing on can be the first idea in a string of bad decisions. The Overland Roundtable panel gets together to discuss their lessons learned, give some recommendations, and share some stories surrounding the tales of when we altered course...or should have. We mentioned some other links that you might find helpful or interesting. Brandon mentioned using the Garmin maps to identify public vs private land. A blog post from Garmin regarding their mapping that would serve this purpose can be found here. Dan mentioned onXmaps as a cross platform mapping product that can also help differentiate public and private land. This may have been mentioned on a past session by someone in the audience, but its worth mentioning again. 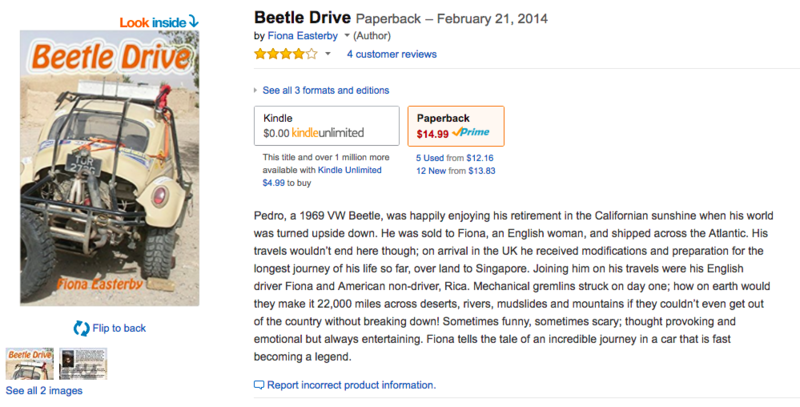 Brandon also mentioned a book titled Beetle Drive by Fiona Easterby as inspiration to get out and explore using whatever means you have available. Our guest panelist this session is Jason Hamasu ("J" on here since Jason Spect is on the show) from Outlaw Xpedition Overland (OX Overland, formerly Oregon Trail Overland). Jason and his team just recently finished their adventure that retraced the Oregon Trail from finish to start; a trip that was more than two years in the making. Brandon Libby can be found writing new articles from his headquarters in Wyoming on Expedition Portal, Overland Journal, and many other fine locations on the web and in print. Brandon's latest side project has exploded with popularity, Overland Kitted. 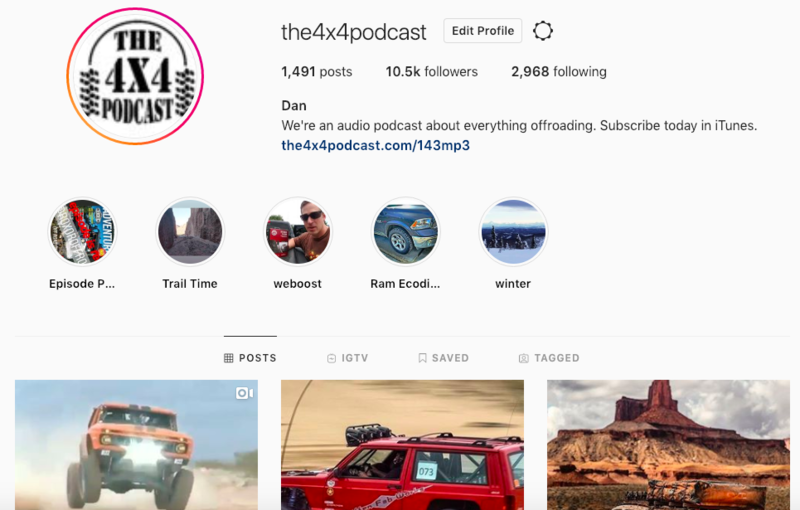 Lastly, Dan from The 4x4 Podcast, can be found exploring Alaska and on The 4x4 Podcast. On this session of the Overland Roundtable, Dan shares an interview that he did with the group known as Via PanAm. The group is running from Alaska to the southern tip of Argentina on foot! 590 marathons! The audio quality isn't as good as usual and the format for the show is different. But at any rate, its a great story involving overland travels that is worth the listen. Cheers and see you next time, at the Overland Roundtable! In this session our guest panelists include Laud Maroney from Texas Overland and Chris from Lone Star Overland. Chris and Laud have extensive experience exploring in and around the state of Texas and bring a wealth of knowledge to the roundtable. They are both based in the Dallas/Fort Worth area so if you're in that area be sure to link up with them for some adventures. Even if you're just planning a trip through their area, shoot them a message. There's nothing better than getting to know an area with someone (or a group) that really knows an area. 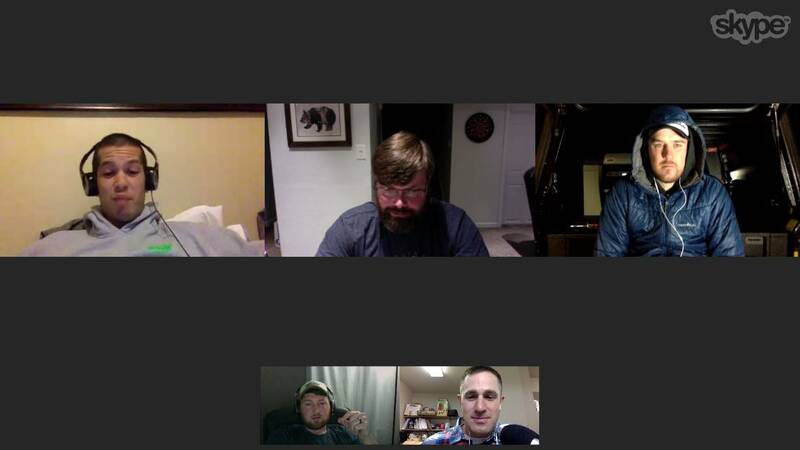 On this session of the Overland Roundtable we discuss some philosophies and tools that people use when planning trips of less than a month. We are focusing on trips that are less than one month long because once a trip takes on that magnitude, the process and tools change a bit. On this session we have two guest panelists and both were discovered in the discussion thread on one of our favorite forums, American Adventurist. If you’d like to continue the discussion, then go ahead and jump in and share your mind with the other American Adventurist fans. Lets introduce our guest panelists. Raul Banuelos from Xpedition Outfitters. Xpedition Outfitters is an online retailer that sells a wide range of gear that you would find useful on your offroad and overland travels. Xpedition Outfitters sells offroad bumpers, roof top tents, recovery gear, roof racks, interior accessories, gas cans, awnings and camping gear. Raul enjoys shorter camping in the southern California and Nevada areas with his family because that simply works better for his current stage of life. Raul has quite of few projects going that were not discussed on this show but I have a feeling that we’ll be seeing him back on future sessions of the roundtable or The 4x4 Podcast. Mike Learey from the American Adventurist website lives in the Dallas area and frequently explores the Texas, Oklahoma and Arkansas areas with his family. Mike is a wealth of knowledge in the offroading world and freely imparts his knowledge on the American Adventurist forum. You can usually find him all over the site and is always friendly. Be sure to head over to the American Adventurist and participate in the discussion. Watch the full video of the session here: Watch the session right here! On session 5 of the Overland Roundtable, we discuss the advantages and disadvantages of the various camp setups that are popular amongst overland travelers. The rooftop tend is a trendy, and expensive, accessory but it may not be right for you. The ground tent is widely accessible but has some characteristics that may not be well suited a long trips or wet environments. We had the pleasure of having Matt Henwood from Main Line Overland join us to discuss his expertise with Four Wheel pop-up campers. Four Wheel Campers slide into a pickup bed and transform your truck into an offroad ready camper with all the creature comforts you can imagine. Matt Henwood serves as MLO's President, and has a deep passion for overlanding since it blends two loves: motor sports and the great outdoors. An SCCA enduro race driver, off-road rally enthusiast, and motorcyclist, Matt also enjoys rowing, hunting, fly fishing, hiking with his wife Kristen and their dog Gunner, and exploring new areas of the world whenever possible. Expeditions in various modes of travel include: Utah, Colorado, Vermont, Maine, Alaska, British Columbia, Vancouver Island, Alberta, New Brunswick, PEI, Nova Scotia, Newfoundland and Labrador, Quebec, Iceland, Europe, and South Africa. He has a rich automotive background, from restoring English classics, German sports cars, and American hot rods, to classic and modern 4×4s and motorcycles. He's also an experienced welder and fabricator of many of MLO’s custom products. Matt holds an MBA in marketing. Matt works closely with customers to help make their overland dream vehicles come to life, and is also in charge of Four Wheel Campers and Adventure Trailers sales for MLO. In addition Matt also heads up planning for the Mid-Atlantic Overland Festival, which is hosted by MLO. Brandon Libby: Brandon Libby: Drives a 2 door JK Wrangler and a 2013 Pro4x Nissan Xterra. Has been into off-roading and overlanding for about 5 years. Contact Brandon at expeditionportal.com and search Brandon Libby. Also on Google+, Facebook, Twitter all under the same name. Brandon Libby: Drives a 2 door JK Wrangler and a 2013 Pro4x Nissan Xterra. Has been into off-roading and overlanding for about 5 years. Contact Brandon at expeditionportal.com and search Brandon Libby. Also on Google+, Facebook, Twitter all under the same name.